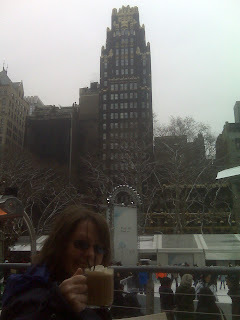 Paul Van Dyke was playing on New Years Eve in Manhattan so because Wendy is such a fan we decided to spend a few days there, celebrate and bring in 2010 in the vicinity of Times Square. 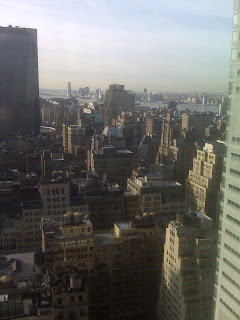 View from our hotel room, 42nd Floor looking south, you can see MSG center left. Wendy having an Irish at "The Pond" on 42nd on New Years Day 2010. 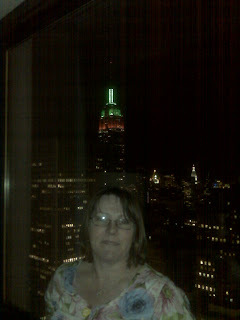 Wendy with the Empire State Building from our hotel room, 42nd floor. 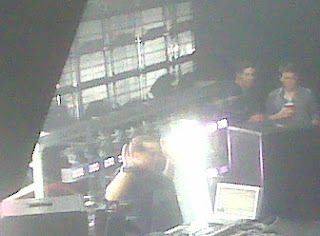 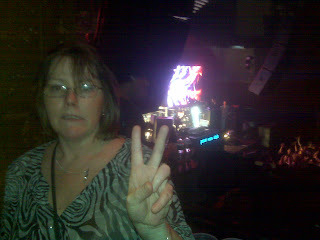 Wendy, with PVD on stage behind showing, the 'Peace' sign - obviously the excitement is too much and the expression seems a little interesting! 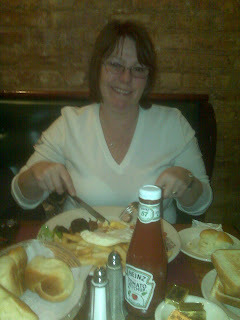 An Irish Breakfast in O'Lunney's, Times Square New Years Day 2010. 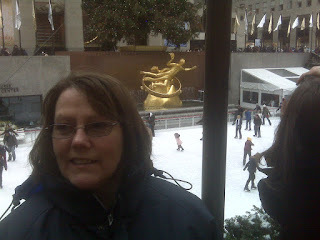 We were in NYC from 12/30/09 to 1/3/10 and yes, you've guessed it, we were in O'Lunneys, each and every day and at least once - recommended. We did a couple of Indian Resturants, one which was recommended on the Internet between Lexington and 3rd on 42nd - what a piece of s**t - absolute rubbish, damn cheek.